While inspecting two new Ford Fusions that had arrived in Minnesota from Mexico, a truck driver found bundles of cannabis stashed in the trunks of the cars. While inspecting two new Ford Fusions that had arrived in Minnesota from Mexico, a truck driver made headlines when he found bundles of cannabis stashed in the trunks of the cars. The two cars each had 20-pound blocks of cannabis, which were molded into the shape of spare tires, before being wrapped in plastic wrap, aluminum foil, coffee grounds and garbage bags. 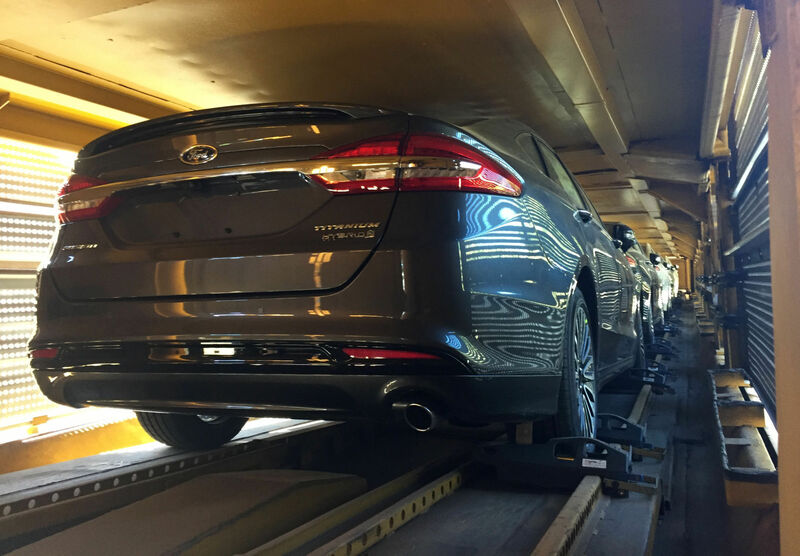 The thing was, it wasn’t just two Focuses that were stuffed fill of extra loot, as BNSF Railway Police discovered that the cars were actually just two of 15 Fusions that had arrived in the country, with 13 of the cars already being sent to dealerships. While the 13 cars were tracked down, some were up to 170 miles from St. Paul, with another three were purchased by a rental car agency and sent them to a nearby airport to be rented – and cannabis was found in each and every one of them. In one of the cars, a package weighing 50 pounds was found in a car purchased by the 86-year-old man who had purchased it, according to a report from a local news outlet. Currently, no arrests have been made; and St. Paul Police have also said they don’t have any suspects, either. 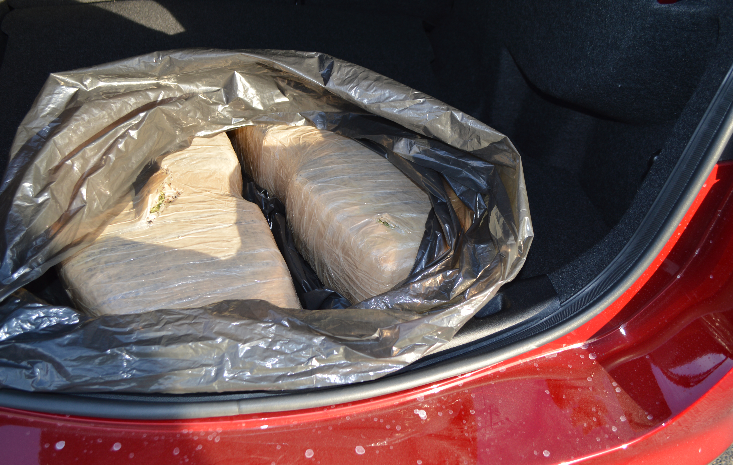 This isn’t the first case of a Ford Fusion from south of the border being found stuffed full of weed, though, as the first case was back in March, when the BNSF Police notified the police department in Dilworth, Minnesota about what had been discovered. From there, police searched another 400 vehicles in the rail yard and found over 200 pounds of cannabis, which was packaged and sealed to look like spare tires that were in seven new Fusions from Mexico. While it was a busy month for police and Ford Fusion, it was the first time in quite some time, as local authorities had not seen an incident of weed being smuggled inside cars – and on a train – in over twenty years. But, closer to the border, the same can’t be said. Down on the Arizona-Sonora border, the Mexican military found 430 pounds of weed wrapped in aluminum foil and clear plastic in the spaces for spare tires in 14 new cars, all inside a rail car in Nogales, Sonora. Then, the following month, 35 pounds was found in more Ford vehicles in the same rail yard. And, yes, Ford is said to be aware of the situation and are cooperating with the investigation. But a spokesperson has declined to provide any more information. But what could be the largest seizure of marijuana hidden in a train that crossed the border actually happened back in 2010, when Border Patrol agents in Texas discovered 22,000 pounds of marijuana, hidden in six railroad cars that destined for Chicago. The discovery became a sting operation, as the weed was put back on the train, which led to the authorities arresting seven people when the marijuana was eventually offloaded at its original destination.